Pay Attention To Chronic Pain- Pain News - Pain.dieutridau.com - All for Pain Relief ! A 69-year old retired federal employee urged the Delaware Health Care Commission Thursday to pay more attention to the issue of chronic pain. Phil Mandel, who has suffered from spinal stenosis and arthritis since 1985 (and has endured several spinal surgeries) told the Commission it was time “to take action on helping people in the state of Delaware that have chronic pain”. 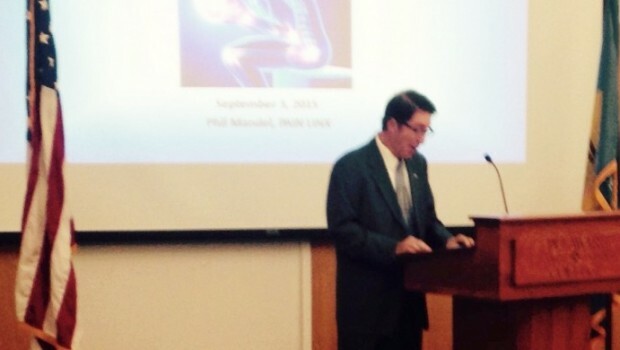 Mandel also was instrumental in gaining Delaware Governor Jack Markel’s statement observing September as Pain Awareness Month which was also released on Thursday. Mandel, who once worked for the National Institutes of Health, pointed out that educating lawmakers is an important part of building awareness. There’s a dramatic case in point right in Delaware. He praised Republican State Senator Ernesto Lopez who sponsored and helped passed a bipartisan measure that allows doctors to certify the use of cannabis oil for children under 18 for certain medical conditions. One of Lopez’ constituents, 9-year old Rylie Maedler was suffering from seizures and other symptoms that weren’t getting better with traditional medications. Her story convinced him to change his mind. Mandel called us earlier this year talking about the National Pain Strategy which believes has not been well promoted by those who have developed the strategy. It was then he told us about his work in his home state, which culminated today with his 20 minutes of testimony before the Health Care Commission.